So if your house is anything like my house, you will have had umpteen tins of quality street, throw in a few boxes of Ferrero Rocher and not to mention the numerous cheeseboards. So you are ready to have healthy food but weaning off sugar is literally torture. The answer…find alternatives! Snacks are my biggest downfall, especially as i work from home. Lets face it, if you have treats in the house you are going to eventually cave and eat them. SO GET RID! I would never cut out snacks and I have a mid morning and afternoon snack every day. They get me through the working day! The snacks below include those to make from scratch and a couple of easy snacks to grab from the supermarket. We’re dreaming of our Summer holidays now and wearing that bathing costume in public. Making a little change now could actually make a huge difference by the Summer! So if you are all about the crisps and savoury snacks, these are the best substitute ever. In fact, i don’t feel like they’re a substitute at all. I love them and they taste great. Made with vegetables, it really is eating a healthy snack. Basically green peas baked and lightly salted which are also gluten free too, they are delicious. 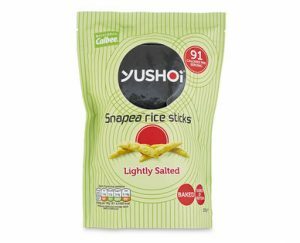 They taste a little like chip sticks, plus they come in other flavours too and you can grab a 6 pack for less than a couple of pounds at Tesco. I promise they taste so much nicer than they look. My yummy thick and creamy chocolate mousse. 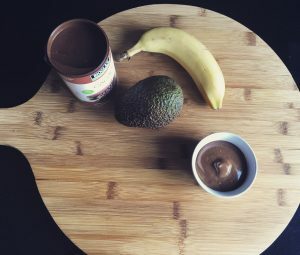 Use half a ripe avacado (i know what you are thinking, avacado in a mousse, but honestly you can’t taste it, the avacado gives it it’s creamy texture), add in a mashed banana, drop of milk ( i use Freya’s soya) and a tablespoon of raw cacao powder. Blend them all together to make this yummy chocolate desert which is absolutely healthy, no feeling bad for this bad boy. It does taste like dark chocolate and i would suggest adding a couple of spoons of honey in to begin with for a little added sweetness since you’ll be weaning off the dairy milk and onto the pure cocoa! I usually pop these into a couple of small containers and add sliced bananas or berries to the top and stick them in the fridge. That way i can grab them when i need a sweet kick. Subscription boxes which are delivered to my door each month, you can choose fortnightly or monthly if you wish. These are also like little sweets but made of only goodness such as fruit and nuts. 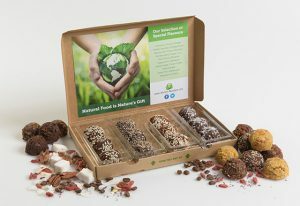 I eat them after the gym as they’re fab little protein balls or just as an afternoon snack. It’s so hard to just buy products with out all of the additives, but these are clean and yummy. My three year old can also vouch for that! 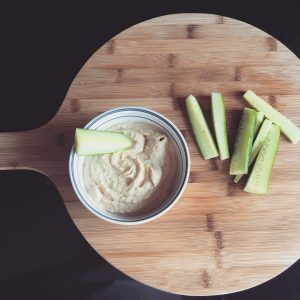 A household favourite and so easy to make is our homemade healthy humus. We dip in carrots, cucumber, bread sticks, tortilla chips, basically anything you can dip. One tin of chick peas drained, two tablespoons of greek yoghurt or soya if you are being particularly good. One teaspoon of tahini (this lasts for ages in the fridge). A sprinkle of salt and cayenne pepper and blend together. This is a good sized portion that will last up to 5 days in the fridge. Great for a savoury kick. 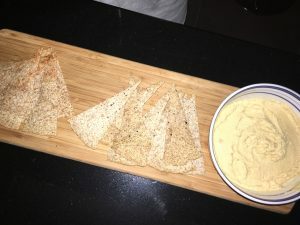 A great weekend snack to dip into humus. You can make them any flavour you like too. Take one wholemeal wrap and spray with spray oil, once on each side. Then season with whatever you like, i pop on salt and pepper with a touch of garlic but Mark loves paprika on his for a little kick. Use a pizza slice to cut them up and pop them in the oven for around 7 to 8 minutes 170 degrees in a fan oven. Easy peasy! So don’t starve yourself and cut out your little treats, just choose wisely, even if that’s the only change you make this month, it’s a huge start! Don’t forget to follow us on Facebook or Instagram!!! Workout at Home in Ten Minutes Flat!